Total Capacity: 16.79 cu. ft.
Refrigerator Capacity: 11.68 cu. 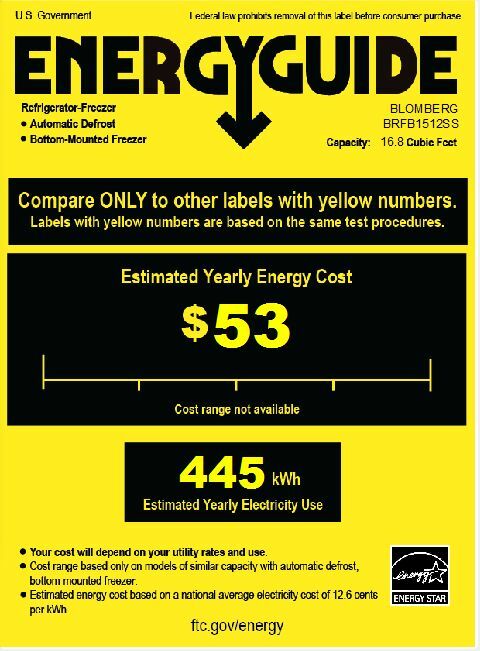 ft.
Blomberg understands living well also means living intelligently and responsibly. 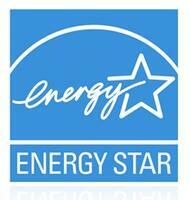 It’s a distinction that earned us the ENERGY STAR® 2017 Partner of the Year award. Featuring innovative technology that safeguards your food and ensures maximum freshness, our ENERGY STAR certified refrigerators also conserve energy, save money, and help protect the planet. The ultimate in eco-friendly engineering, Blomberg refrigerators are built with 99.9% lead-free materials, 100% free from ozone-depleting greenhouse gases, and manufactured with 85% recyclable components. 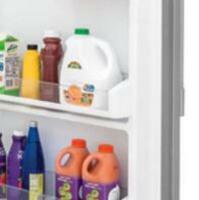 Featured in certain Blomberg refrigerators, this versatile chrome bottle holder suspends from a shelf to provide convenient extra storage. Ideal for chilling wine or keeping tall bottles of cold water on hand, this practical accessory makes the most of every inch of space. Stainless steel wrapped doors are fingerrprint resistant. For a built-in look at a fraction of the price. The antibacterial silver Interior Coating help keep your food safer and fresher. 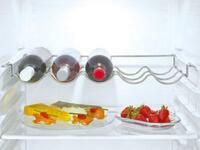 White LED provides a more aesthetic look inside your fridge and less energy consumption. Ideal for chilling wine or keeping tall bottles of cold water on hand, this versatile chrome bottle holder suspends from a shelf to provide convenient extra storage. Fingerprint free inox for easy cleaning. Provides more homogenous, energy efﬁcient, and silent cooling. Prevents odor mixing. Depth with Door at 90 Degrees: 52.1875"
My favorite part of this Blomberg refrigerator is the attractive Bottom Freezer design. Really stands out in my kitchen. I was getting irritated because our brand new Blomberg refrigerator was making these godawful noises. I mentioned this to a neighbor who pointed out that I was from New York and it was my first summer in Georgia. They suggested I adjust the temperature a couple of notches below the recommended setting. Did this and everything works great. I later saw the manual said the same thing. Would now recommend this fridge without hesitation. If youÂ’re in the market for a new refrigerator, look no further than Blomberg fridges. This Bottom Freezer Freestanding model has a ton of storage space and can be configured to fit large items easily! I found a great deal for this product and I just decided to get it. If you take care of it properly I'm sure its going to last for a very long time. It is never easy to make a decision when a person is about to purchase one of the main kitchen appliance. You have to take every detail into consideration, the size, features and the design. I wish I did more research before purchasing this product. I mean it is great. Works perfectly fine without any problem, however, the size is just not right because of how big my family are. Well it is not appliances connection's fault, I just should have done more research.